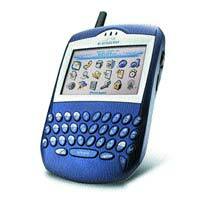 I recently bought a BlackBerry 7510, from Research in Motion and Nextel Communications, and I couldn't be happier. It is a far cry from the early units: they now sport a speakerphone and color screen, in addition to the wireless access to e-mail. The ability to receive e-mail is probably the main reason for BlackBerry's wild popularity in firms of all sizes. With the 7510, you can access your existing Outlook, Lotus, or individual POP e-mail accounts directly from the device. The BlackBerry service includes an e-mail account, but resist the temptation to use it. Even the smallest of firms are better off establishing a professional-sounding Web site domain and e-mail account, to enhance the firm's professional image. Let's face it, superlawyer 543119@BlackBerry.net just doesn't, well, look professional. For individual use, or for use by small firm lawyers, a POP account may suffice. Setting up your POP account is as simple as entering your user name and password in your Web browser. Larger firms with multiple BlackBerry users may want to integrate BlackBerry services into their networks. Firms that use Microsoft Exchange or Lotus Notes can use the industrial-strength BlackBerry Enterprise Server, or use the BlackBerry Desktop Redirector, to extend their Microsoft Outlook mailbox functions. The ability to read e-mail attachments has always been a challenge to BlackBerry users. The attachment features with my BlackBerry 957 never seemed to work properly. Fortunately, with the BlackBerry 7510, attachment functions are integrated, and although there are limitations, the device can be used to view Word documents and spreadsheets. It's only text though, so don't expect to see a miniature image of the page. Using a special USB adapter cable, the 7510 can synch e-mail contacts, calendar, notes, and other information. A real plus: You can set up all of your contacts, including addresses, phone numbers, and e-mails in your e-mail program, and just transfer them to the BlackBerry. Nor are you restricted to Microsoft Outlook. The 7510 also synchs with Act, GroupWise, Outlook Express, Lotus, even Netscape. No more typing in phone numbers — and it also has a built-in cell phone. But for occasional short calls, it works just fine — and even has a speakerphone. The Nextel model includes the company's signature walkie-talkie feature, too (and yes, you can silence it). The BlackBerry's QWERTY keyboard has been, and remains, the one factor that sets it above other handheld devices. Who wants to hit a key three or four times to get to the letter you want. External keyboards get lost, tangled, forgotten, or broken. The 7510 runs about $500. Phone, Internet, and e-mail service cost about $99 per month, e-mail only is about $50 per month. Ted Brooks is president of San Francisco's Litigation-Tech, a trial and legal technology consulting firm. He was the winner of the 2003 Law Technology News Award for Most Innovative Use of Technology During a Trial, with Abramson Smith Waldsmith.